Dr. Suarez-Balcazar is a professor and head of the Department of Occupational Therapy, College of Applied Health Sciences, and the co-Director of the Center for Capacity Building for Minorities with Disabilities Research. She received her PhD from the Universirty of Kansas in Child and Developmental Psychology, with a concentration in Community Psychology. 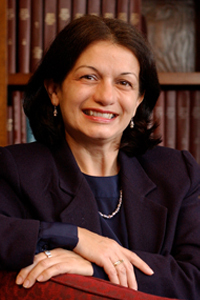 Her research interest and expertise covers several interrelated areas: Evaluation of community-based obesity prevention interventions for people from ethnically and racially diverse backgrounds; the study of cultural competence and diversity as it relates to outreach, innovations and research with people with disabilities from diverse backgrounds; and the study of community capacity building for evaluation. She is also examming rehabilitation outcomes for minorities with disabilities. She is a co-author of a book entitled: “Race, Culture, and Disability: Rehabilitation Science and Practice,” one of the few available in the literature examining the nexus between these topics; and a co-editor of “Participatory Community Research: Theories and Methods in Action.” Her work on cultural competency lead to the development and empirical validation a model and its corresponding instrument to measure cultural competency among health professionals. She is a Fellow of the American Psychological Association (APA) and a charter Fellow of the Midwestern Psychological Association. She is also in the editorial review board of the American Journal of Evaluation, Gateways: International Journal of Community Engagement, and the Journal of Preventionand Intervention in the Community. She is a member of the Society for Community Research and Action; The American Occupational Therapy Associaition; AOTA workgroup on obesity; CLOCC (Consortium to Lower Obesity in Chicago Children); and an invited member of the Hispanic Research workgroup, Administration for Children and Families, US Department of Health and Human Services.